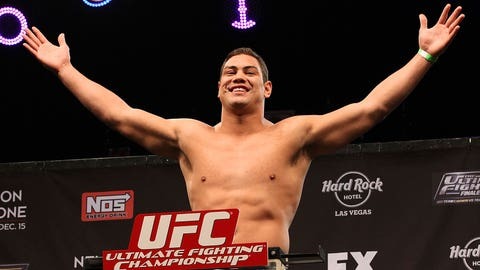 Rumors of positive change in Shane del Rosario's condition have been found to be false. The MMA community got good news about Shane del Rosario over the weekend. Sadly, none of it is true. The UFC heavyweight’s training partner Erik Apple told Sherdog.com that del Rosario was off life support and breathing on his own. Ross Finkelstein of The Final Round tweeted those things and also said del Rosario squeezed his mother’s hand. Well, del Rosario’s manager Jason House told Ariel Helwani of UFC Tonight that those facts are inaccurate. Del Rosario is still fighting for his life after going into ‘full cardiac arrest’ on Nov. 26. The good news is that del Rosario is still living. On Thanksgiving, Helwani reported that the fighter would undergo Arctic Sun treatment, which lowers the body temperature in an attempt to revitalize organs. If that failed, del Rosario’s family would be given the choice to not pursue further care. There were a myriad of reports last week and over the weekend tat del Rosario had died. Those were also untrue. House wrote on Twitter that del Rosario might have long QT syndrome, a rare heart disorder that shows no clear symptoms and could cause sudden death, according to the Mayo Clinic.